Beautiful Boutique Winery in the Heart of Umpqua Valley wine region. 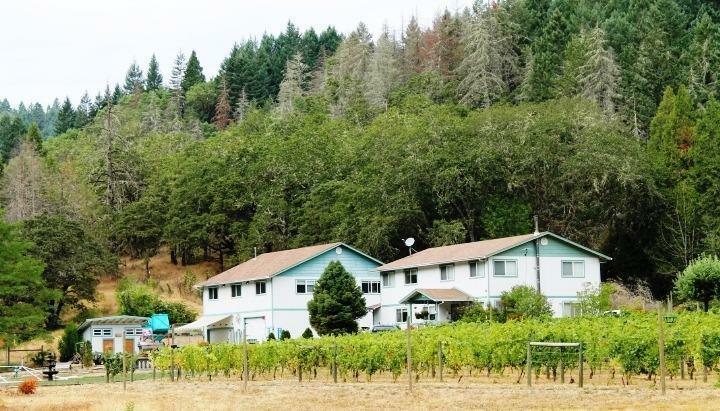 Wild Rose Winery and Vineyard was first established in 1995 with the planting of 10 acres being planted with Pinot Gris and Merlot in 1996-97. Current inventory consists of Pinot Gris, White Merlot and Merlot. The property has a 40 x 40 winery building, an 1800 gal holding tank w/Grundfos pump & pressure system. Part of the property is forested with a creek and a pond. The winery has established itself as a wonderful event location for weddings and musical events, complete with a picnic area, public restrooms, firepit, and lots of parking. There is an additional contiguous 33 acres that has a 3 bed, 2.5 bath 1512 sq. ft. MFH, 10,000 gal holding tank with potential for an additional 10 acres of grapes that the seller owns. This is a great opportunity to become part of the Umpqua Valley wine family.